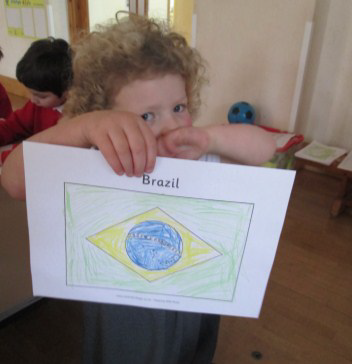 The children across the school have enjoyed taking part in activities learning about different countries around the world. The children spent 2 days in 2 different countries learning facts about the country; its culture and customs. The countries they visited were China, Kenya, Australia and Russia! 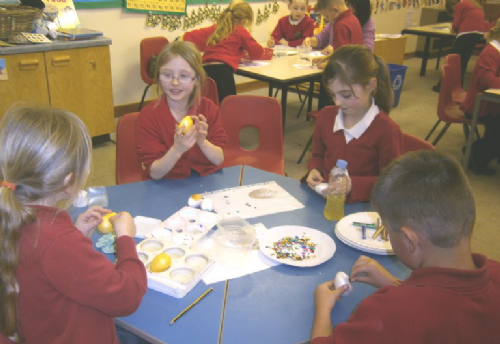 On their visit to Russia the children learned about the history of the Matryoska dolls and Faberge eggs and had a go at making their own. Children also designed and created their won elaborate Russian style buildings and the children had great fun trying Russian dancing! Some of the children travelled to Kenya for the afternoon! Here, they learned about the landscape and the location of the country. They also found out about the animals and fruit that you can find in Kenya by reading the lovely book set in Kenya called 'Hand's Surprise' by Eileen Browne. 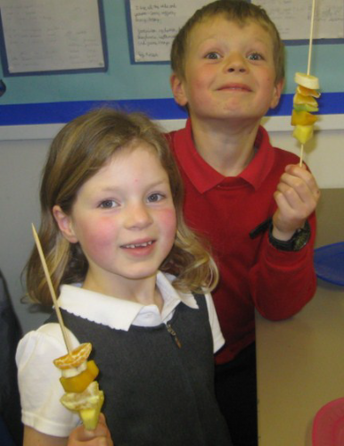 The children made some Kenyan necklaces, drew the Kenyan flag, played board games and made fruit kebabs - using some of the fruit in the story. 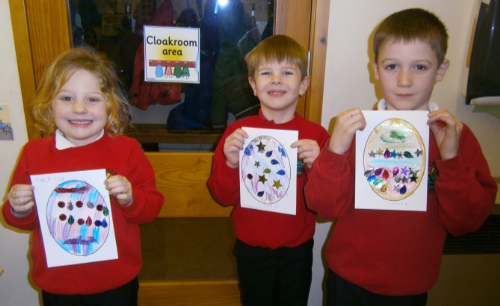 The children found out which fruit was the favourite in the class by designing a pictogram. Passion fruit, mango, pineapple and banana were popular! 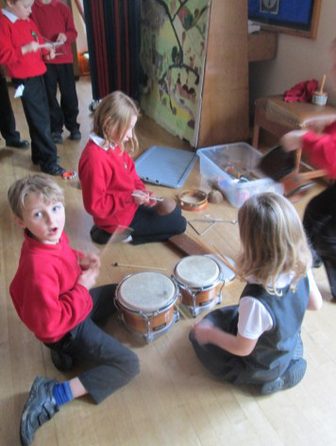 We also sang a song in Swahili called 'Jambo Bwana'! 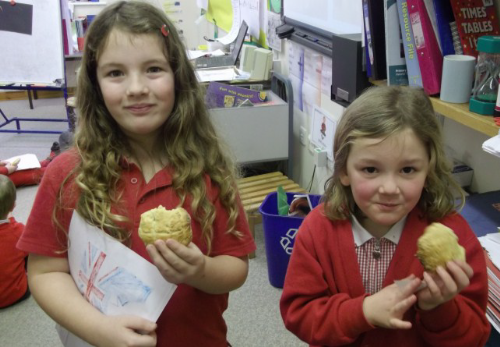 The children who went to Australia learned about how James Cook discovered Australia on HMS Endeavour in 1770. The children learned about how the country was used as a place to send convicts. 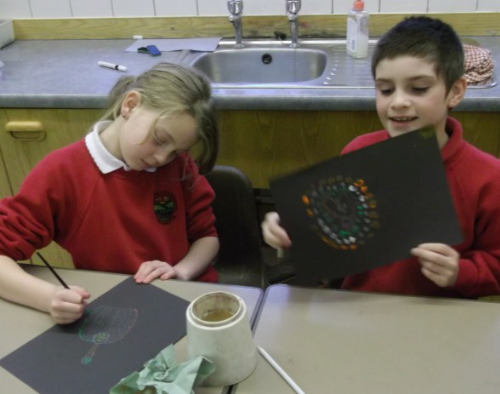 They discussed how the native Aboriginal people must have felt, and created their own Aboriginal 'dot' paintings. They made Australian and Aboriginal flags and learned about what they represent. 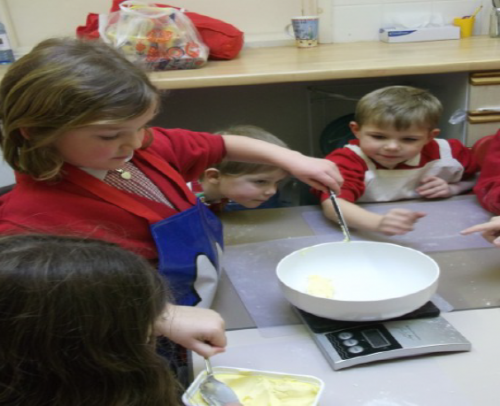 The children really enjoyed making some traditional 'Damper Bread' which would have been cooked on a small camp fire with basic ingredients.